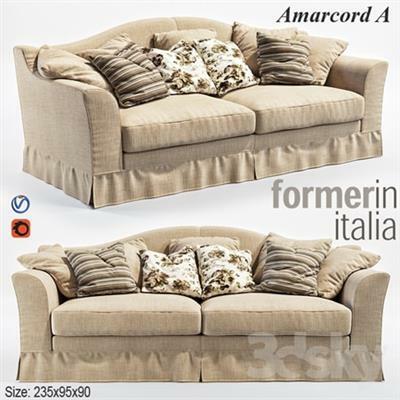 Sofa Formerin Amarcord in modern style. Wooden frame with fabric upholstery. Internal stuffing pillows – goose down with the addition of penopuliuritana high strength. Dimensions: 235 x 95 x H90 In the archive are scenes from Corona and Vray materials. The beautiful renderings!